Speed through city streets with the comfortable and more powerful URB‑E Sport GT. 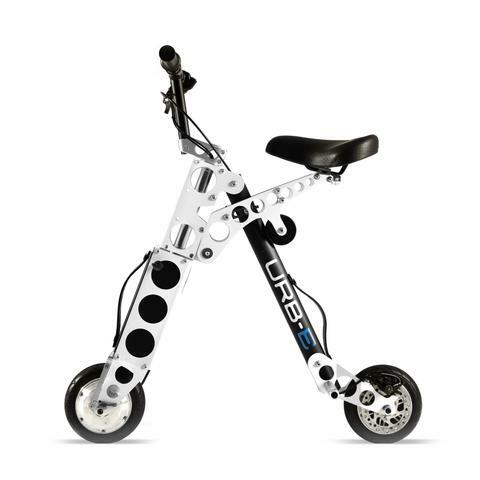 With race car inspired pushrod suspension system and performance speed controller programmed inhouse, the new URB-E Sport GT delivers comfort and torque that you can feel. 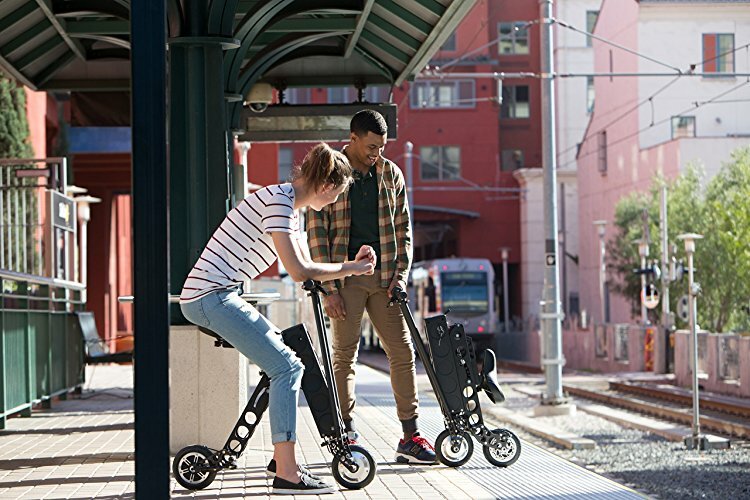 An added front vertical kickstand gives URB-E Sport GT the ability to turn into a shopping cart, making trips to the grocery store a breeze. 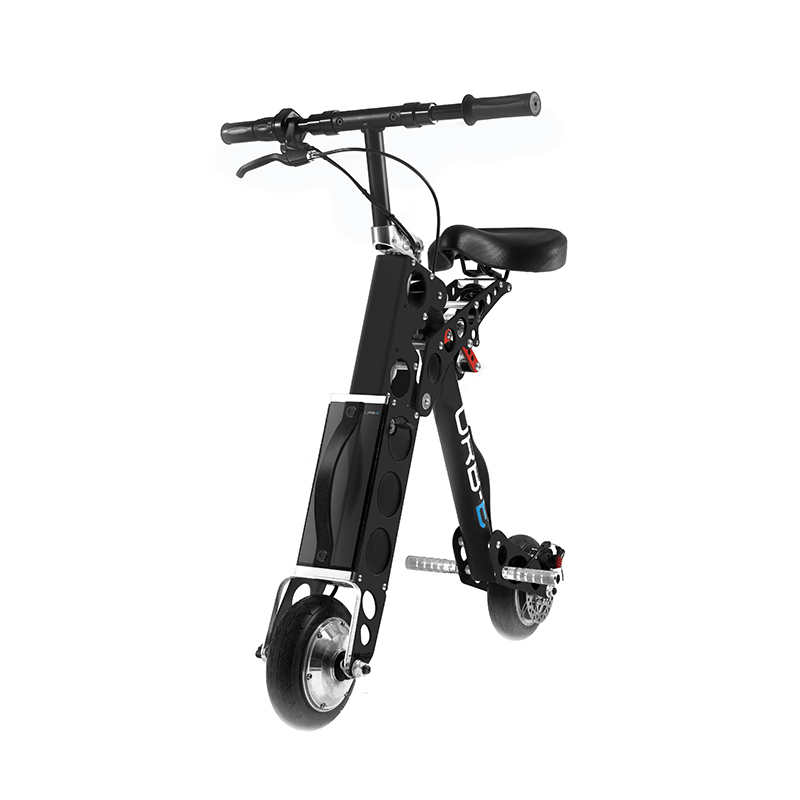 The new Eddy power source also comes standard in URB-E Sport GT. Available in exclusive colors Stealth Black and Guards Red. The Sport GT is an upgrade in both price and power of the regular URB-E Sport. 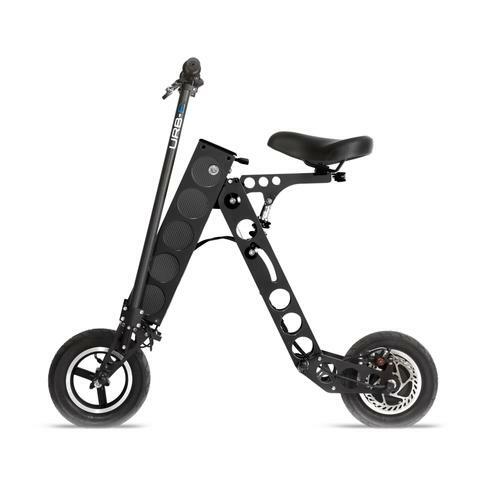 I would recommend if you’re spending big money on a scooter definitely go for the Sport GT and not the regular. The price difference is only $200 but you get a lot of perks with the upgrade. -Charge time is really fast, only 3-4 hours from a 0% charge. Be warned, it’s suggested not to run the battery that low as it may decrease charge capacity in the future. -Fantastic quality of parts. Nothing made in china. -Accelerates fast. Sometimes feels like a moped more than a scooter. -Its not easy dropping that much money on a scooter and I think the price could be improved. 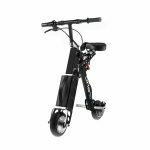 However, the quality is great and I can see the scooter lasting a longer time than if it was built with cheap parts. -The style feels a little awkward at first. This is a more personal choice but most of the design was spent on application rather than looks. Looks great, rides great. It was packaged really well and assembly was super easy. Folding it is effortless and then it rolls like a wheelbarrow. Easy to take up stairs, but I still wouldn’t want to roll it for long distances due to the weight of it. I ride it every day to work and it handles hills and the roads fine. Only complaint I’ve had is that I ordered the basket add-on and it leaves very little room for your feet on the brakes. It’s been a bit precarious and I no longer use the basket. Absolutely love it. Solidly built, great range, and folds up smoothly, making it super portable. I live in San Francisco and I take it all around the city. When it folds it becomes sort of like a wheelbarrow for you to roll around, since it’s slightly too heavy to carry a lot. At first I felt a bit dorky doing this, but honestly not having to depend on a car in the city completely outweighed my initial qualms. Only improvement I’d ask for is an app to help monitor battery life and such.